The full program for ISSST 2018 is available! 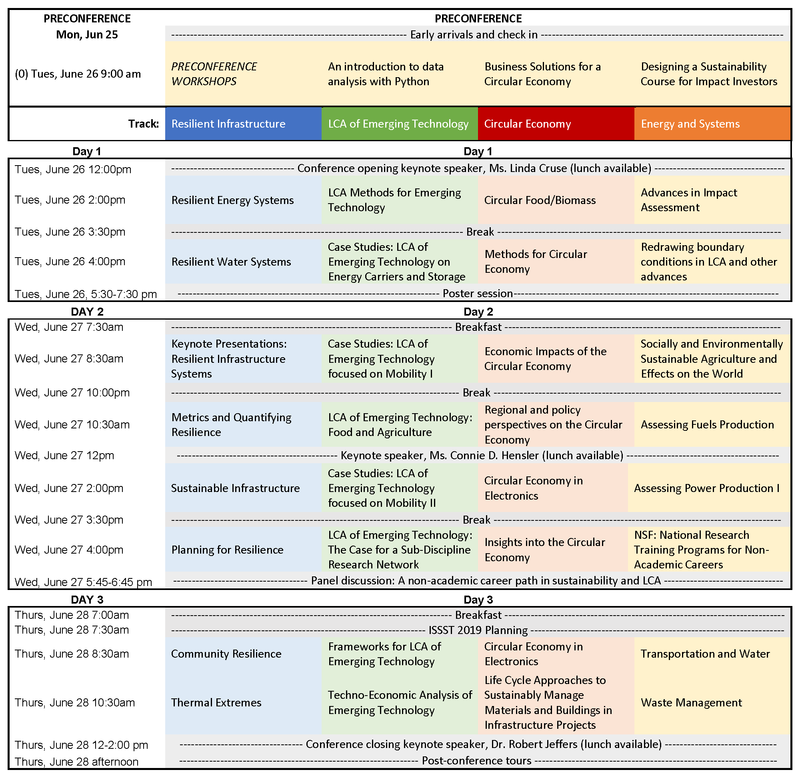 The table below provides an overview of the keynote speeches, pre-conference workshops, and parallel sessions. Click the links below the table to explore the events for each day, each session, and each special themes. Read more information about special themes here. We have created a mobile app for you to find conference information and plan your participation in the ISSST 2018.
title: Can we reverse climate change? This is an open discussion space, everyone is welcome to discuss cutting edge ideas to foster future collaborations.